Many Thanks to the Alzheimer's Foundation of America! We want to extend our many thanks to the Alzheimer's Foundation of America (AFA) for awarding us funding for our Family Caregiver Respite Fund. Insight strives to provide care to all families in need, regardless of their ability to pay, and support from AFA helps make this possible! When the center was founded in 1984, no one was turned away who needed care, even when he or she couldn’t pay. Over the last five years, IMCC has spent an average of $140,000 per year to provide financial assistance families utilizing the adult day health center. However, with our center expansion in 2015, we can now accept 50% more participants per day in our adult day health center. This increase in participants has led to an increased demand for our Family Caregiver Respite Fund. 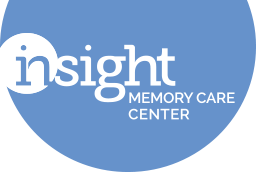 In FY16, Insight provided $197,145 for 25 families to attend the day center at a reduced rate, representing a 55% increase in funds from the previous year. With the commitment of our Board of Directors, Insight plans to continue providing financial assistance to as many families as we can who are in need of care. We sincerely thank the Alzheimer's Foundation of America for helping us work towards this goal!